Good fitness tracking devices doesn’t necessarily have to come with a display, since they can still perform very well. The Fitbit Flex is one such fitness tracker that looks just like a wrist band, yet it is actually a fitness tracking device. There isn’t a built in heart beat monitor though; but even the finest fitness trackers go through a difficult time to calculate the heart beat accurately. Fitbit Flex wraps around your wrist very comfortably, and from the fashion lovers’ perspective there are many different colors which make the Fitbit an essential fashion accessory alongside being a fitness tracker. The design is indeed very impressive. It’s very thin, no wider than a thumb. There are two bands supplied inside the Fitbit Flex packaging. We have found both these bands to be extremely comfortable and sliding the Flex inside the silicone encasing wasn’t any difficult either. For people who sweat a lot, these bands would come helpful as they don’t irritate your skin or feel too wet. The water resistance makes it safe during rainy days or against water splashes, but the device isn’t water proof so better not take it to swimming. There are 11 different colors to match your outfit and personality. Once charged, the batteries have been found to provide nearly two weeks of battery backup. Fitbit promotes the battery to last for five days so we were indeed surprised, but that would depend on the usage as well. Usually the charging time is around a few hours, depends on how much juice is still left on the pack. Speaking of interface, there isn’t any display on the Fitbit Flex. But there are indicator lights and they show the owner’s progress, but they need to know what the lights indicate. For reminders, there isn’t a display but there are vibrations to alert you.The badges are given upon completion of a goal and you can see them on your smartphone or computer. To sync and grab the data off your Fitbit, you need to use few accessories – generally supplied within the packaging. Once your phone has the necessary app installed, it will automatically detect a Fitbit Flex using Bluetooth radio interface. However, if you prefer a computer more than a smartphone for fitness tracking, you could use a dongle as well that plugs into the computer’s USB port. While using Bluetooth, the range is usually 20 feet. Keeping the tracker somewhere close would do its job. 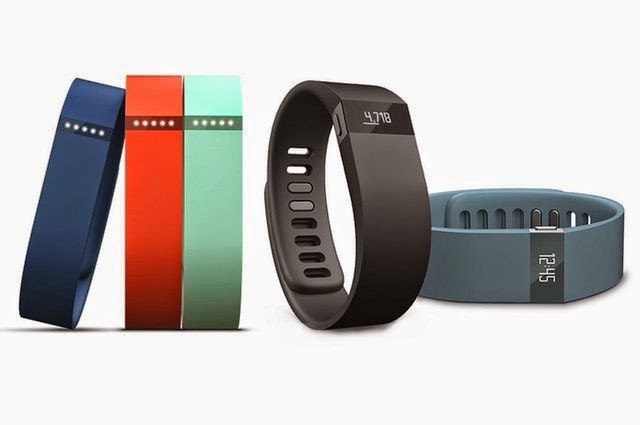 Check the latest fitbit coupon and fitbit reviews. Just in case a customer faces any technical trouble, they could ask for assistance in the email assistance section on Fitbit’s website. Most frequently occurred problems are solved in the manual’s FAQ section; and Fitbit would provide more whenever necessary. The device is covered under a year’s warranty. The best part about the Fitbit Flex is; no one notices a fitness tracker on your wrist. Instead, most people would take it as a fashion accessory. For $100 budget range, this is one of the best fitness trackers you can find.